The indoor electric grill is a cool gadget to be lying around in your kitchen for the occasional delicious grilled steaks and vegetables to enjoy. It doesn’t matter whether you are a big fan of grilling foods or not, as long as you the best indoor electric grill, it can come handy in different occasions. Whatever the circumstances might be, you won’t ever repent having an electric grill, particularly if you somehow end up with the Excelvan KYS-868 Indoor Electric Classic Plate Barbecue Grill in your pantry. The Excelvan KYS-868 Indoor Electric Barbecue Grill is a fabulous piece of machinery. A well-built product with features that makes sense unlike some other grills in the market. Worked beautifully when I tried it and from my experience, I took some time to exhibit its pros and cons so readers might find it easy to make the judgment whether this one is worth it or not. Not everyone can manage to afford the state of the art T-fal GC702 Opti grill. That’s like the Lamborghini of electric grills. But if you want to taste champagne on a beer budget then Excelvan Barbecue Grill might be a fantastic choice and why not as it meets the budget which is the top priority. If you take a look around the market, surely you will find some better grills throughout the market in the same price range with some amazing features mentioned. But, most of those are misleading advertisements to get their hand on your money by putting features that aren’t even there or they aren’t of any use to the consumers generally. Excelvan didn’t try to hustle instead they came up with a simple product. On those tight resources, you wouldn’t find a better option such as Excelvan KYS-868.The manufacturers have produced a modest electric grill with some fine features fulfilling consumer needs. We did a detailed Excelvan KYS-868 indoor grill review for you. Ideal for cooking everything : The Excelvan Electric Barbecue Grill is ideal for grilling everything. People who never used an electric grill has a misconception that indoor grill is just an alternative way to get your barbecue steak without getting out of your comfortable home. They are partly right and partly wrong because you can cook other stuff too using it. You can prepare chicken, fish or grill your vegetables. And we all know grilled sandwiches using the grill tastes so much better which is no surprise as grilling takes the flavor of food to a whole new level. Easy to use : There is nothing extraordinary in this particular electric grill, all the standard features and that is where its beauty lies. I will recommend the Excelvan electric grill over other grills with same features because you will discover how easy it is to use. Most of the times, the key to a great product is simplicity. Also, it is an outstanding product if you consider the safety measures too. Safety issues are always the top precedence among the companies when they manufacture any gadget. But somehow trying to add too much they will somehow overlook this fact. Excelvan didn’t make those errors with this grill. It is a safe product and even kids can use it with proper supervision. All in all, they put out an everyday product in front of the consumers that users will be able to afford and use on a regular basis without any complications. The complete package: For an electric grill costing no more than 40 bucks, y’all will try to find the tiny defects as it is buyer nature. This is due to the belief that great products have to be expensive. But products like the Excelvan Indoor Barbecue Grill demonstrates that you can get high-quality products at a reasonable price. 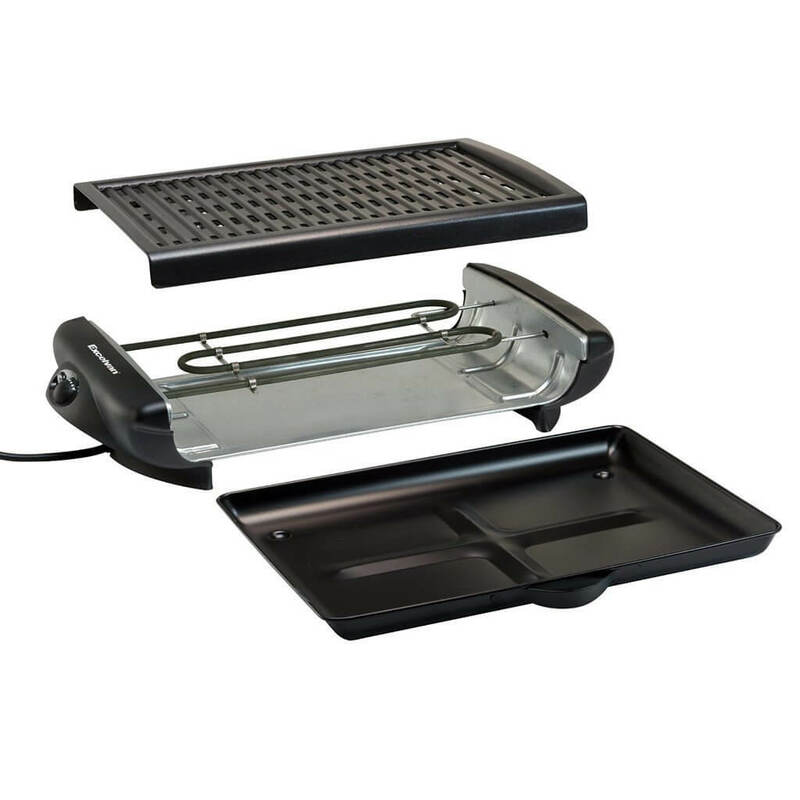 The Excelvan can’t compete with electric grills like Cuisinart GR-4N 5-in-1 Griddler which has so many cool features. But don’t forget about those features you have to pay double the money. Instead, you can get a grill which works just fine. Nothing fancy, as it is a simple indoor grill which is ideal for grilling almost any food. 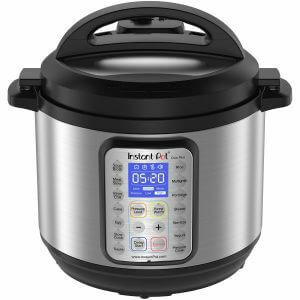 The features that will find in it are very basic like it has an adjustable temperature control system. The handle of the grill is cool touch safe handle so that you don’t get hurt. Cleaning: You can detach the grill to clean it properly. The electric grill has a surface of 15*10 inch, enough area to cook multiple ingredients at the same time. Large surfaced grills come with the heat issue to cover the entire surface area of the grill, but the makers of this indoor grill designed it to perfection resulting in complete heat coverage at every square inch of the plate. Besides that, it has a nonstick surface so that your foods don’t get cozy with the plate and also the minimum amount of oil is enough for coating the grills. Also, the grill drains a significant volume of fat from the meals providing healthier food to eat. That’s it, nothing rare about it as they are standard features but the features advertised by the manufacturers are all there working perfectly not like others making a lot of promises and none to show for. Smokeless : Yes it’s smokeless but you need to make sure you add proper amount of water. Though this indoor grill comes with a lot of pro features but the price of this is actually pretty low. So anyone on budget looking to get cheap indoor grill for their personal day to day use can consider buying this. You can’t go too wrong wrong with a price tag of $40 . Q: Is this grill smokeless? Ans : Yes,you must follow instructions and add proper amount of water to tray . It has a bottom tray to fill partially with water to keep the drippings from smoking. Q: How long is the electric cord ? Ans : The cord is 41 inches ( 3 ft 5 in ) long not including plug . Q: How do you clean it? Ans : Its easy to clean with soap and water, the bottom tray slides out and the top grill lifts up. Q: Some people say that the grill doesn’t cook steaks thoroughly.Would this grill be able to cook, for example, a one-inch thick New York steak? Ans : It cooks several steaks just fine at the same time. Don’t know why someone would say otherwise unless they don’t know how to use it right. Large surface to cook multiple items at ones. Affordable price and 12 months manufacturer guarantee. The only downside about the Excelvan Indoor Electric Classic Plate Barbecue Grill is that it takes about 10-15 minutes to fully preheat. But after warming up it does what it was made for. At the end of all, I will highly rate the Excelvan KYS-868 Indoor Electric Barbecue Grill because of its simplicity and there is nothing misleading about it. Users have highly praised it and customer ratings is a prove of that. That is enough to make the point, so try yourself and enjoy great meals at a moderate price.